Masnada 'Baggy Cob' pants - trousers black resin treated, washed fabric. Angled zip fly with placket. Belt loops. 2 angled side pockets in front seams. 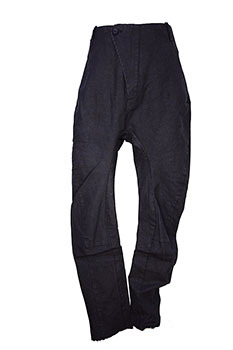 2 rear angled pockets. Panel and stitch detail on legs. Unfinished on length. Side and rear waist has 4 rows of stitch detail. 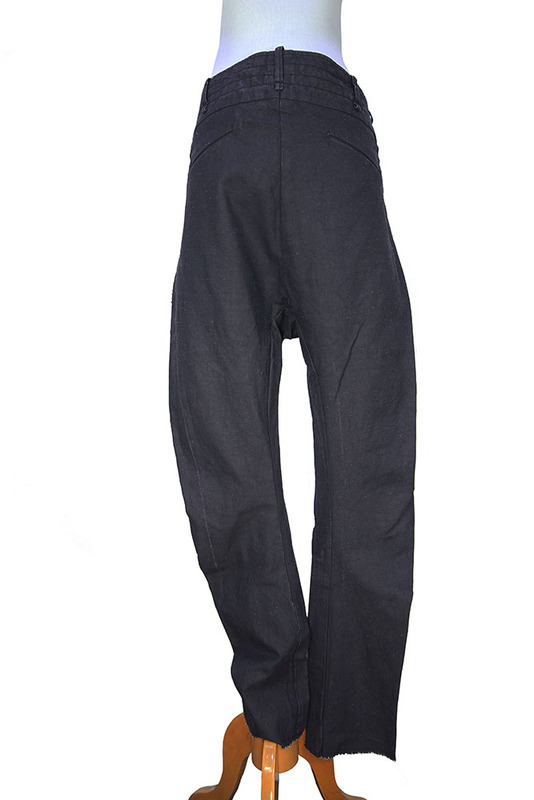 Stunning trousers, in a high quality fabric, beautifully designed and of the finest workmanship. The quality of Masnada clothing is hard to find elsewhere.